The designer through his collection ‘gossamer’, tried to unravel his life’s nostalgia for us. The collection, consisting of skirts, trousers, jackets, dresses and more, spanned from whites to muted tones of blue and dark yellow. 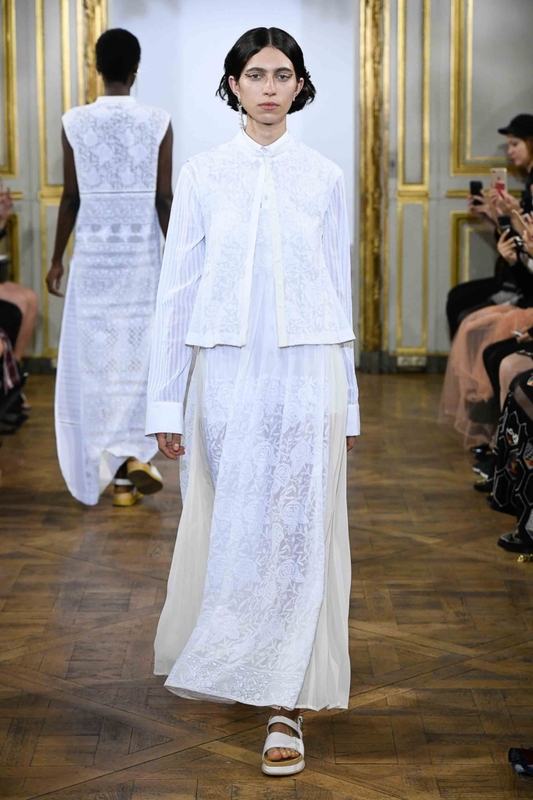 Daraz embroidery and traditional incrustations brought a hint of India to the Paris Fashion Week ramp. 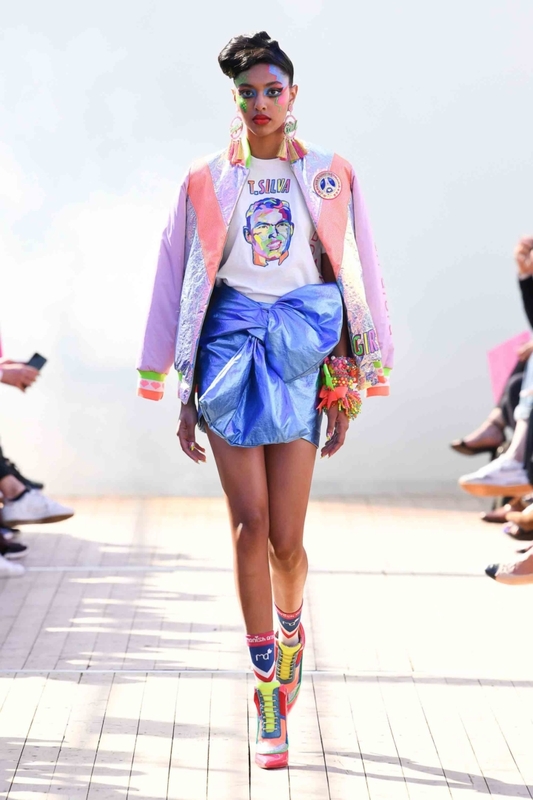 Back in form, the designer’s collection at Paris Fashion Week was as bright and colourful for us, as Willi Wonka’s factory is for kids. Sexiness met athleisure through sweatshirts embroidered in jewel tones spelt out ‘Girls Just Wanna Have Fun’, amongst track pants, skirts and more. A bold reminder of what Arora’s signature is all about. Titled ‘Blue-jean Baby’, Kanelle’s collection centred around washed and treated denim, through the lens of the ’80s. Simple silhouettes and clean cuts were cleverly layered with subtle details such as pleats, fringes, tone-on-tone shades et al. On an international platform, Kanelle’s aesthetic shone simply by staying true to itself rather than playing with commonplace trends.